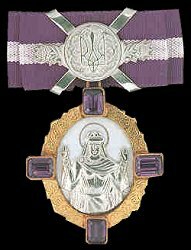 Ribbon: Purple and white, depending on grade. 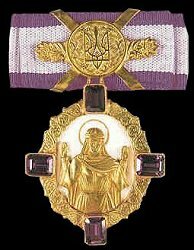 Instituted: 15 August 1997 by the President of Ukraine, L. Kuchma. 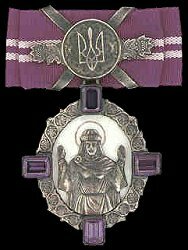 Awarded: For service to Ukraine and society rendered by women.